It goes without saying that the last decade has seen Gujarat real estate transform into an urban landscape with international standards. 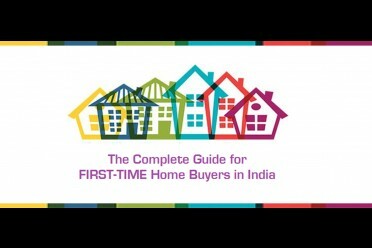 It is this reason that the state and its cities like Ahmedabad, Vadodara, Surat etc., are attracting real estate investors from across the country. A new entrant in this list is Halol. With projects like Ashiana Navrang in Halol, the city is growing as a potential investment destination. Earlier regarded as the industrial powerhouse with several multinational companies having their base here, Halol, on the outskirts of Vadodara and close to NH-8, is now developing as a promising real estate market. Given to its location and connectivity with Gujarat's other developed cities, it is now becoming a preferred investment destination for investors from across the country. 1. Halol is a part of the ambitious Delhi-Mumbai Industrial Corridor (DMIC) which is at a distance of 35 km from the Halol industrial area. 2. It is merely 7 km away from Champaner Pavagadh Archaeological Park which is the only World Heritage site in Gujarat State and 40 km away from cities like Vadodara, Godhra and 150 km away from Ahmedabad. 3. The broad gauge rail line passes from Vadodara to Godhra along a distance of 1.5-2 km from Halol industrial area. 4. Halol is a major industrial hub that offers enormous employment opportunities. 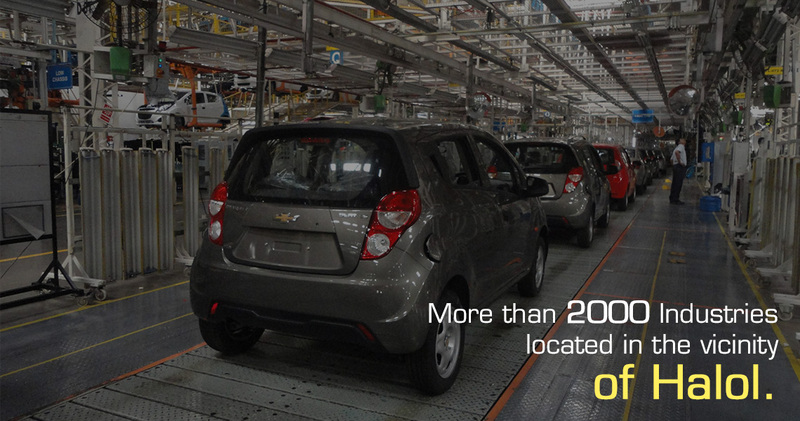 There are more than 2000 industries located in the vicinity. Major industries include Sun Pharma, Polycab, GM, Hero Moto Corp, Alstom, Schneider, Toto, HNG, Aditya Birla, Saint Gobain, Windar and many more renowned companies providing direct employment to 25,000 in the area. This makes Halol a promising real estate investment destination. 5. Be it good educational institutes, restaurants, hospitals, and banks—Halol has it all. Further, with more families coming in, there is bound to be growth in the number of schools, colleges, hospitals, restaurants, entertainment avenues and ultimately a rise in the real estate value. This is another most promising aspect that warrants high returns on your investment in property located at Halol-Godhra road, especially. 6. At present, the property rates in this area are also stable and not sky-high, thus, luring investor’s attention and making it low investment- high rental return zone. All the above factors are creating a chain effect on the property market in this part of the state and making it a prominent investment hub. What more? Apart from the lucrative property appreciation prospect, one can also command a profitable amount by renting out an apartment.Since, there is a lack of organized residential housing societies in Halol, the demand for residential properties on rent is very high and people are waiting for good rental units. Taping on this demand, Ashiana Housing Ltd. has launched its project- Navrang, near Halol-Godhra Road. 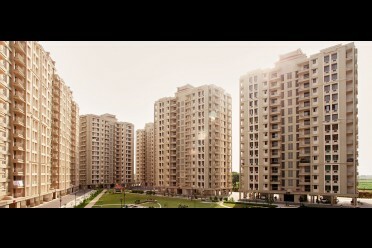 In few months’ time only, Navrang has become the talking point among the property investors. Why should you invest in Ashiana Navrang? Now that you know about why to invest in Halol, here are reasons for investing in Ashiana Navrang project. It is a large township, spread across 10.65 acres of land and comprising of affordable low-rise apartments with 2 and 3-BHK apartments. It is ideal for those earning a livelihood in the industrial area of Halol. It also has a gymnasium, swimming pool, 2-acres of landscaped parks, walking tracks, skating rink, club house, badminton court and other facilities. 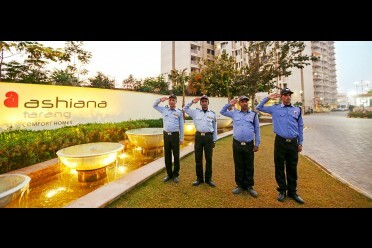 Also, hassle-free living is ensured by Ashiana’s in-house maintenance team. Hero Moto Corp has an employee strength of 110, once it will get fully operational the employee strength would be approx. 10,000 + and there are many more companies like Sunpharma, Polycab etc. are in expansion mode, therefore, there is good demand for rental & we are expecting it in future too. Only organized builder within 50 km. So, what are you waiting for? Invest in the real estate of Halol now before the rates escalate. Capitalize on this low investment-high opportunity zone and earn good rental returns in future. Am already a proud flat owner of a Flat at BRAHMANANDH ASHIANA in Jamshedpur. Kindly send me the price list of this projest over mail only. Please son't call me, unless i suggest. Sure sir we will share the require details shortly. Thank you for showing interest in Ahsiana Navrang Halol (Gujarat). We have 2/3 BHK flats available at Rs. 24 lacs - Rs. 34 lacs. 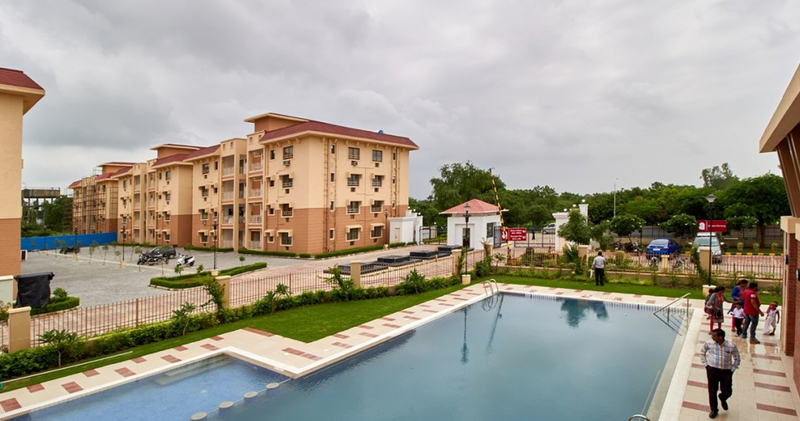 Presently families are residing in the complex and all the amenities are operational. For further details our executive will get in touch with you.